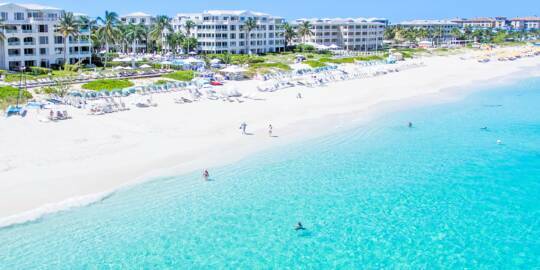 A sunny day at the pristine Grace Bay Beach, Providenciales. The exquisite sand and sea at Leeward Beach on Providenciales. 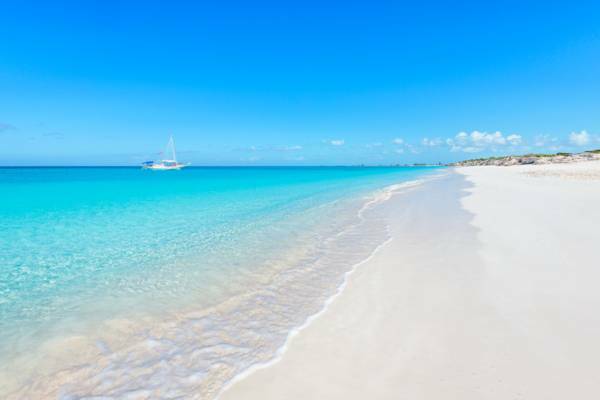 The main factors to consider when visiting the Turks and Caicos are accommodation prices, hurricanes, and for some of the islands, the presence of mosquitoes. The Turks and Caicos experiences consistent and beautiful weather year-round, barring the occasional storm. Water and air conditions are never too cold for the beach. Weather conditions for the different water sports do vary somewhat throughout the year, yet the air and water temperature is quite constant, with an annual average air temperature range of 75° F to 95° (24° C to 35° C), and an ocean water temperature range of 79° F to 85° (26° C to 29° C). For most first time visitors, February, March, and April will offer the best combination of weather, prices, and availability. Late August, September, October, and early November typically have the lowest accommodation and activity rates. December to April is typically the "high season". During this period, the rates for accommodations and activities are often at least 30% to 50% percent higher compared to the rest of the year, and availability may be limited as well. The "low season" occurs during the late summer and early autumn months, which coincides with the Atlantic hurricane season. Due to the relatively limited number of visitors at this time, some businesses either temporarily close down or take the opportunity to renovate. If you are able to reschedule your vacation in the unlikely chance that a hurricane threatens the Turks and Caicos, booking during the low season can result in substantial savings. Unless a tropical cyclone or hurricane is nearby, the weather is typically great at this time of year. The Turks and Caicos is located in the tropical Atlantic, and as such is at risk of being hit by a hurricane or tropical cyclone. In the Atlantic, these storms largely form between June and November, and this period is commonly known as the hurricane season. There have been very few actual hurricane strikes to the country in recent decades, although the close passing of tropical storms, and the delaying of flights due to storms in the region occurs more often. 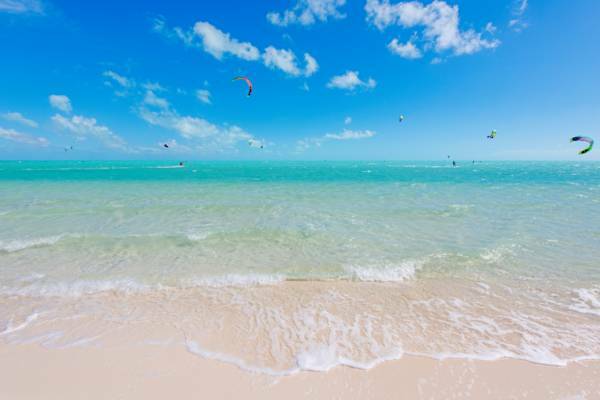 Kiteboarding at the unparalleled Long Bay Beach on Providenciales. Statistics show that mid-August through September is the most likely time of year in the Turks and Caicos for a hurricane to strike. A hurricane or tropical storm can obviously ruin your vacation, so you’ll want to be aware of the likelihood of such an event. If your personal vacation schedule and airline tickets are flexible and allow for date changes, definitely consider visiting during the hurricane season as you’ll likely have a great stay. If you’d rather avoid any chance of a major storm, book during the winter and spring months. The weather is very consistent throughout the year. The water temperature only changes by a few degrees throughout the year. The main difference is that the period from August through December has higher rainfall averages. The weather conditions for most activities are great throughout the year. Popular activities such as boat charters, snorkelling, diving, parasailing, kayaking, paddle boarding, and sailing can be enjoyed anytime. The conditions for wind sports such as kiteboarding and windsurfing are a little more consistent in the winter months. Whale watching is the only activity that’s truly seasonal, as the migrating humpback whales only make their appearance from late December to early March. 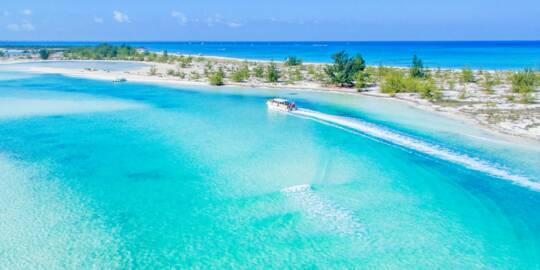 The brilliant Chalk Sound Lagoon on Providenciales. Fortunately, (or unfortunately if you like to party!) the Turks and Caicos generally doesn’t experience the March and April spring break party atmosphere that other Caribbean countries do. There may be a slightly noticeable increase in the number of those enjoying the beach and ocean, yet none of the loud music, heavy drinking, and noise. 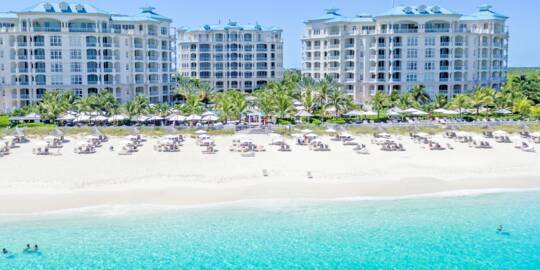 Avoiding the two large Grace Bay all-inclusive resorts during spring break will do the most in terms of maintaining tranquillity. Due to their locations on our less-populated beaches, luxury rental villas are generally immune to the high season crowds. The presence and quantity of mosquitoes varies greatly by season, by island, and most significantly, by the amount of rainfall experienced. 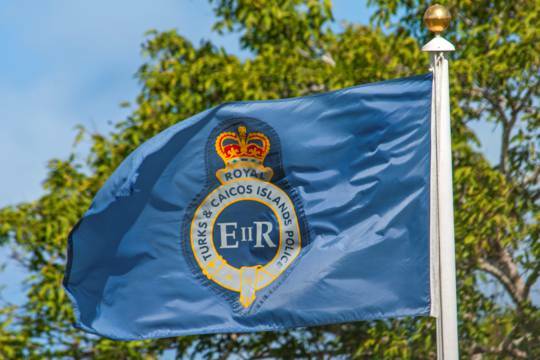 On the whole, the typically dry weather in the Turks and Caicos isn’t conducive to the pests, and as such mosquitoes are only a problem after unusual flooding. When there has been heavy rainfall, the mosquito situation on Providenciales varies highly depending on location. Grace Bay and other tourist regions typically see far fewer mosquitoes than the remote west coast does, and mosquito problems in regions exposed to the constant eastern trade winds usually fade quickly. Due to the general lack of dense vegetation and the absence of natural sites that collect rain water, Grand Turk and Salt Cay generally do not have serious mosquito problems. There may be an outbreak after flooding, however, mosquitoes tend to be controlled by the breeze rapidly. North and Middle Caicos and the boutique islands of Parrot Cay and Pine Cay can have serious and persistent mosquito attacks after heavy rains. There’s little that can be done other than wearing long sleeves, using potent insect repellent and avoiding mosquito-sheltering environments. In the Turks and Caicos, fishing seasons exist for conch, lobster and grouper, the three most popular locally-caught seafoods. If these items are served outside of their respective fishing seasons, the products may be not the type of seafood they are stated to be, are illegally harvested, or are imported. The lobster fishing season spans August to March. Outside of these months, it’s not possible to legally buy fresh locally caught lobster, either in shops or at restaurants. During the typical July to October closed season, Conch and conch products cannot be fished, and exports during this period are limited to visitor souvenir shell and shell products. This export ban can be applied to souvenir shells and conch crafts, although it is not always enforced. See	Buying, Collecting, and Exporting Conchs, Shells and Corals. Nassau grouper, the favoured type of grouper for local dishes, may not be fished during the closed season, which is typically December through February. 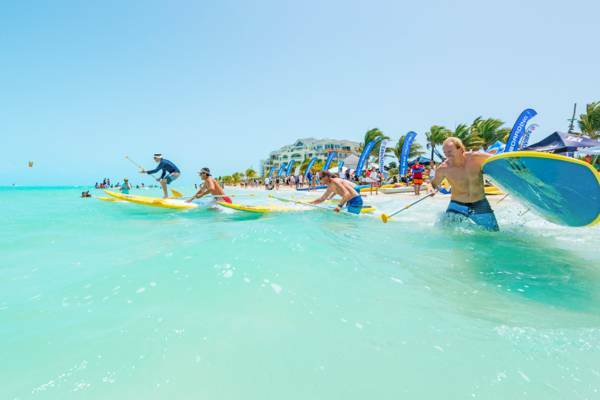 Held every year on Long Bay Beach on Providenciales, the Windvibes water sports competition is great fun for all ages. This amateur event includes kiteboarding, kayaking, paddle boarding, swimming, beach games and more. Generally, all you need is a light shirt and shorts. No coats are needed, although some people may prefer a light sweater on the colder days (which are rare) or in the evening. Most visitors will find that they need less clothing than is typically brought. Consider bringing long-sleeve rash guards for swimming, snorkelling and water sports. These garments don’t get water-logged and offer excellent sun protection. If you can’t find rash guards at home, the Providenciales water sports shops carry a wide selection. 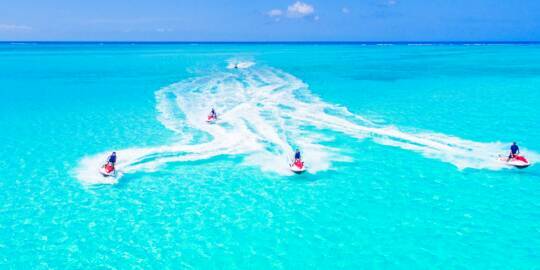 Along with being a spectacular place to watch the New Year’s Eve fireworks, the Turks and Caicos offers several water sport, cultural and traditional events. The culinary Conch Festival and Crab Fest are held in November and June respectively, and are one of the best opportunities to sample authentic Turks and Caicos dishes. 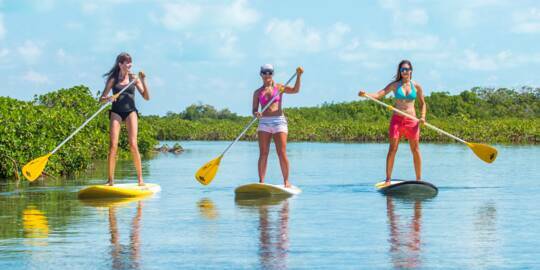 Windvibes is an amateur water sports event with kiteboarding, kayaking, stand up paddle boarding competitions, and the Race for the Conch is the country’s premier open water swimming race. Both celebrations welcome visitors. A little more geared to the local audience, the annual Fool's Regatta features Pico and Hobie Cat sailboat races, along with whimsical raft competitions, whereas the South Caicos Regatta is more about the old way of life and the Caicos Sloop. 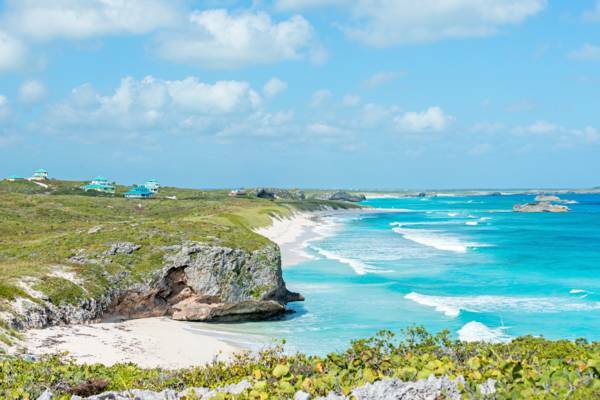 Hiking the remote coastlines of West Caicos. Weather: Air temperatures are great, not too hot and definitely not too cold. Average wind speeds and ocean swells are a bit higher in the winter months. The surface conditions of the ocean are also generally are a bit choppier and cooler than during the spring, summer, and autumn months. Mosquitoes: Typically not an issue. There can be some if heavy rains occur, but they are often kept away by the breeze. Activities: Due to the marginally higher average wind speeds, kiteboarding, windsurfing, and sailing is excellent. The initial humpback whale sightings begin off of Salt Cay, Grand Turk, and Providenciales. The ocean can be a little choppy. Events: New Year’s Eve: Grace Bay Beach is an amazing place to watch the fireworks. Sport Fishing: Wahoo, Mahi-Mahi, and Sailfish are most common around this time. Price and Availability: December and January are the busiest months of the year. Rates reach their peaks. Weather: Ambient temperatures continue to be quite pleasant. Day to day ocean conditions will be a little choppier during the winter months, and wind speeds and ocean swells are usually a bit higher. Definitely not cold enough to be considered chilly, the ocean water is coolest this month. Mosquitoes: As is the case with January, unless there’s flooding, mosquitoes shouldn’t be a problem. Activities: Wind speeds averages are still a bit higher, so kiteboarding and sailing conditions continue to be excellent. Whale sightings typically reach their peak. Events: The Valentine’s Day Cup, a model sailboat race, takes place on Bambarra Beach on Middle Caicos. Many local businesses also have Valentine’s Day specials. Sport Fishing: The same as January: Wahoo, Sailfish, and Mahi-Mahi. Price and Availability: There is a noticeable change from the previous two months, yet February continues to be busy. Freediving on the barrier reef. 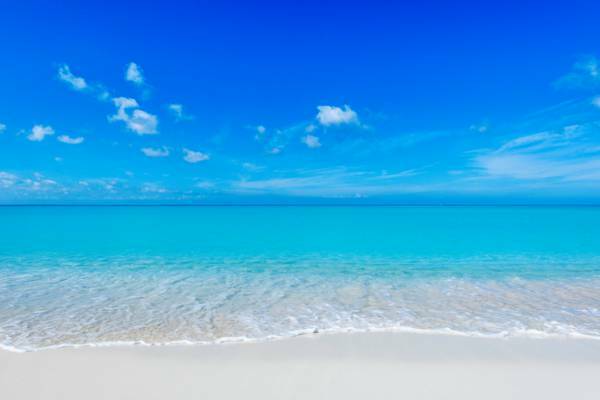 Water temperature in the Turks and Caicos is perfect year-round. Weather: Air temperatures remain excellent. The ocean water begins to warm a little. It still tends to be a bit windier and choppier (although not by much) on the ocean during the winter season. Mosquitoes: The breezes usually keep down any mosquitoes there may be. Activities: Wind speeds remain breezy, so kiteboarding conditions are still excellent. The final humpback whale sightings are mid-way through March. Events: Local bars, pubs and restaurants typically have St. Patrick’s Day specials. Sport Fishing: Wahoo, Mahi-Mahi, and Sailfish. Price and Availability: Spring Break attracts more arrivals. Weather: temperatures are great, not too hot and definitely not too cold. Average wind speeds and ocean swells are a bit higher in the winter months. Activities: Wind speeds tend to remain consistent, so kiteboarding conditions continue to be excellent. Events: The Annual Kite Flying Competition takes place on the The Bight Beach on Providenciales. Sport Fishing: Sport fishing is good. All of the main sport fish can be found at this time. Price and Availability: Things are typically still busy. Weather: Temperatures begin their noticeable increase to the summer highs. Wind and weather is typically calm and perfect for the beach, snorkelling and diving. Mosquitoes: Not a problem unless there’s a rainy period. Activities: Anything on or in the water other than the wind sports. Events: Not much happens in May. Sport Fishing: May is a good time for deep sea game fishing. 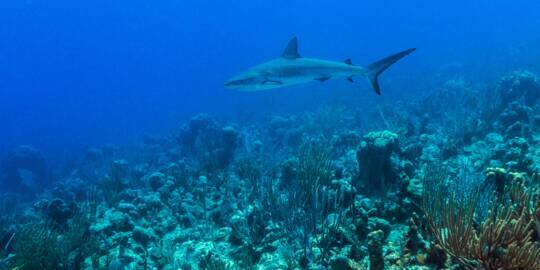 Many of the main game fish are out there at this time. Price and Availability: May doesn’t reach the lows of September, yet activity quiets. 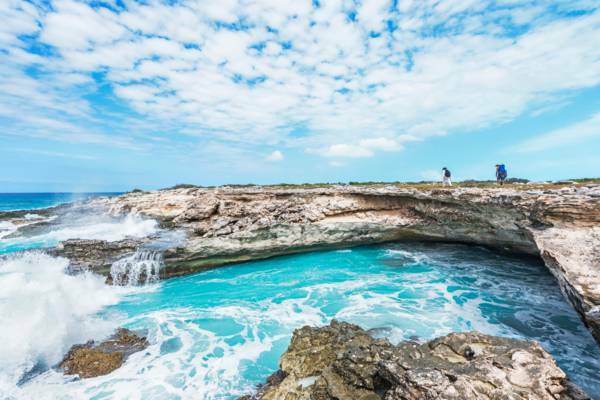 The cliffs of Mudjin Harbour, Middle Caicos. The winter months tend to experience higher ocean swells than the summer months. Weather: Although storms have historically been uncommon this month, June is the start of the hurricane season. The average weather is tranquil and hot. Mosquitoes: Not typically a problem. Activities: All of the water sports and activities can be great. Events: There not much going on, some local businesses have Father’s Day promotions. Sport Fishing: All of the main pelagic game fish are out there. Price and Availability: Activity picks back up a bit. Weather: July is part of the hurricane season, yet statistically storms remain unlikely! Temperatures continue to be quite hot, yet the weather is often calm. Mosquitoes: Unless heavy rains have occurred, mosquitoes typically aren’t an issue. Activities: It can be a little too hot to explore ruined plantations and caves, but the conditions for ocean activities tend to be great. Events: Water sport fans rejoice! 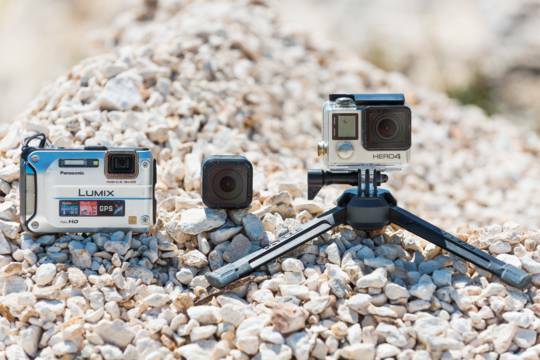 The amateur kiteboarding, kayaking, paddle boarding, and beach game competition that is Windvibes is in July, as is the Race for the Conch swim event. Sport Fishing: Mahi-Mahi, Tuna, and Marlin are the main game fish this month. Price and Availability: July tends to see a bit of an increase in activity. Weather: Temperatures reach their heights during this month and September. If you’re not in or on the water, it can be a little unpleasant. Unless a storm is nearby, the ocean is usually calm and delightful. The Turks and Caicos actually does not see many hurricanes, but mid-August to September is the likeliest time for them to hit. Mosquitoes: As August is part of the hurricane season, any flooding brought on by passing storms can result in mosquitoes. North Caicos, Middle Caicos, and Parrot Cay can be heavily affected. Activities: Diving, snorkelling, kayaking, and paddle-boarding are usually great due to the flat conditions. Events: Things tend to be quiet. Sport Fishing: Tuna, Marlin, and Sailfish are out there! Price and Availability: Although not the low season, the situation tends to be quite quiet in the country. 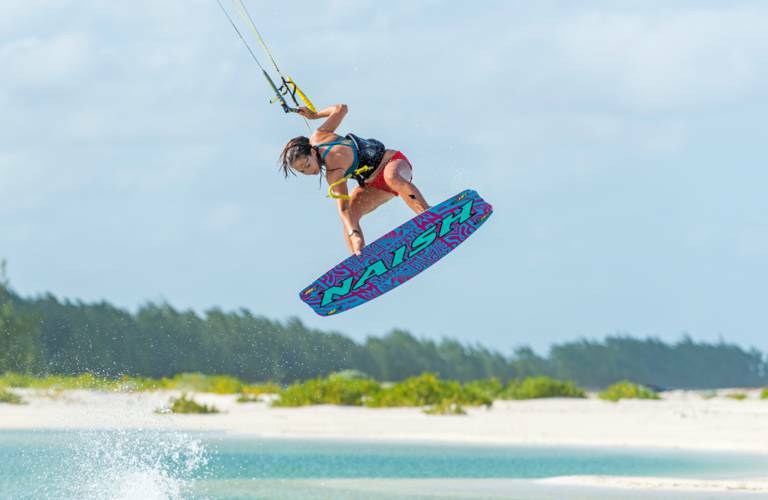 Kiteboarding on Middle Caicos. The winter months are typically better for the wind sports. Weather: Air temperatures continue to be oppressive, yet the beach and ocean conditions are usually calm and beautiful (unless a tropical storm or hurricane is nearby!). As is the case with August, this month historically has the greatest chance of hurricane hit. With the past as a reference, there’s about a one in seven chance of a hurricane. Mosquitoes: As is the case throughout the hurricane season, mosquitoes can be bad if there has been flooding. 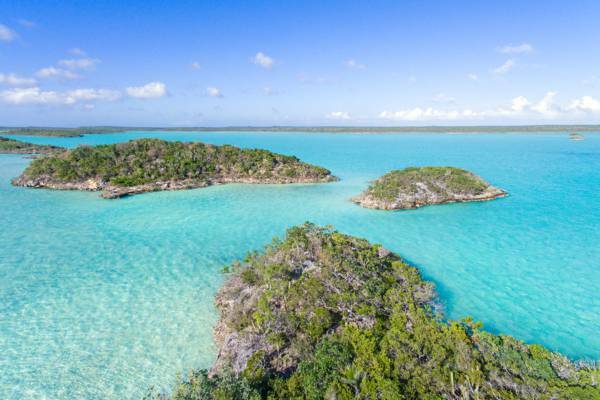 Do to the larger quantity of natural water-collecting ponds, caves and sinkholes, the conditions on North Caicos, Middle Caicos, and Parrot Cay can be especially obnoxious. Activities: The ocean is usually calm, so any of the non-wind water sports should be spectacular. Events: Not much going on. Sport Fishing: All of the main game fish can be found. Price and Availability: September is the low season and the least busy time throughout the year. The rates will be lowest and some businesses even temporary close down this month. Weather: It begins to cool down from the summer highs. This is the last month of the hurricane season. Mosquitoes: There have probably been heavy rains by this time, so mosquitoes can be bad at certain locations. Activities: Anything on or in the ocean. This is probably not a good time for the plantations and sights of North Caicos and Middle Caicos due to the mosquitoes. Sport Fishing: Tuna, Wahoo, Mahi-Mahi, and Sailfish. Price and Availability: The lull of the low season continues. Rates should continue to be at their lowest. 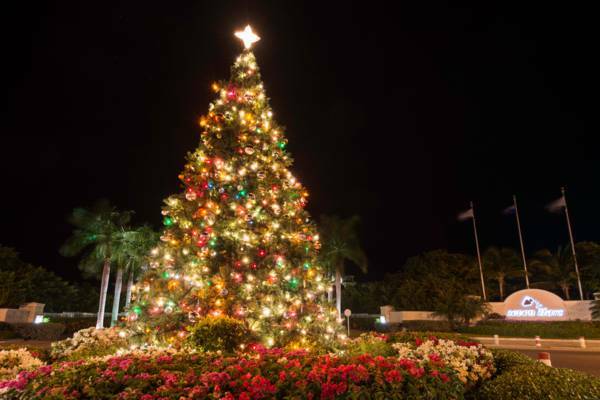 Christmas Tree in Grace Bay, Providenciales. Weather: The consistent breezes and ocean swells of the winter season begin to return. Temperatures become excellent and the ocean remains nice and warm. Mosquitoes: Any mosquitoes still lingering from the storm flooding tend to be kept away by the breeze, but sheltered and wilderness areas may still be bad. Activities: All of the water sports can be great. Events: The Conch Festival culinary celebration takes place in Blue Hills on Providenciales. Sport Fishing: Sailfish, Wahoo, and Mahi-Mahi. Price and Availability: The slow season has ended. Prices are up and availability is down. Weather: The ocean can be a little choppy, but temperatures both in and out of the water are great. There can be a bit of an ocean swell at times. Mosquitoes: Shouldn’t be a problem. Activities: The wind sports are typically great at this time. Humpback whales make their initial appearance late in this month. Events: Quite a few events and parties take place in Dcember. Price and Availability: The high season! December is the busiest month of the year. We recommend that you book accommodations and activities in advance.